Minister of Planning Dr. Nouri Sabah al-Dulaimi inspected on Sunday the actual preparations made by the Central Bureau of Statistics to complete the population census for 2020 and the necessary needs of the Authority to accomplish its tasks within the plans set by the Ministry of Planning. During the meeting, the minister briefed the head of the Central Bureau of Statistics, Dr. Zia Awad Kazem and the staff working in the agency, on the work progress and strategic plans for the current year 2019, and the ongoing preparations for the census of the population in 2020. 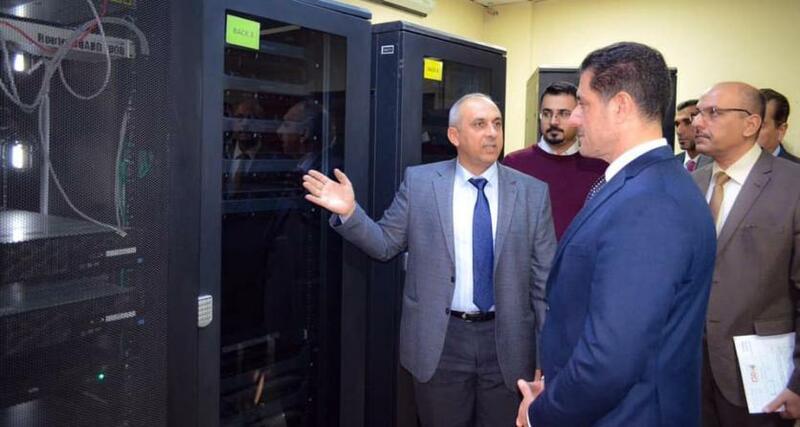 During the visit, the Minister of Planning stressed the importance of improving the capacity of the Authority through the establishment of specialized workshops to develop the skills of statisticians and to inform them of the latest technologies that contribute to the accuracy of the work and the speed of its completion. During his visit, the Minister of Planning discussed the results of recent meetings with the international community and how to invest them in developing mechanisms of the Central Statistical Organization at the national level.